What is Culture for One? 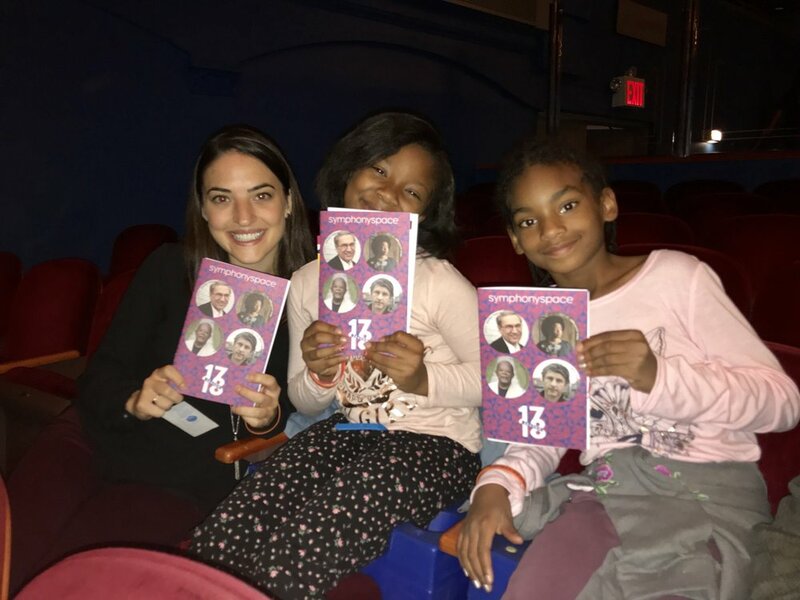 Founded in 2010, Culture For One is a 501(c)3 non-profit organization that transforms the lives of New York City children in foster care through the power of the arts. We provide unique opportunities to inspire their creativity, stimulate their intellect and introduce them to broader possibilities for their future. Our cultural excursions, creative workshops, arts scholarships and mentoring nurture big dreams and encourage higher education and career planning. With expertise in arts education, restorative art practices, child welfare and child development our staff successfully engages 2,000 children age 21 months - 21 years annually. We have strong partnerships with leading New York City arts institutions, top-rated child welfare agencies and schools. With our Volunteer Corps we provide our children with ongoing connections to caring adults who encourage and support their development. WHAT IS CULTURE FOR ONE'S GOAL? 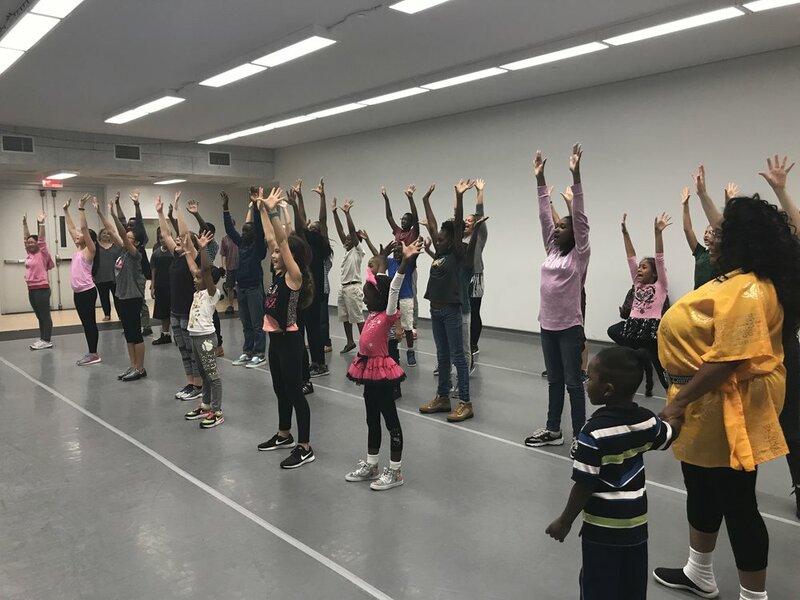 Our goal is to provide New York City children living in foster care with cultural experiences and exposure to a broader world, offering them the joy and inspiration of the arts and expanded networks of support. Our long-term goals are to reduce the number of youths who leave foster care who have missed key opportunities for their social, emotional and interest development and are unprepared for higher education or employment. We wish to continually increase opportunities for children in care to experience the arts, provide greater awareness of the needs of youth in care, and increase private citizen and corporate involvement to help us change the outcomes for these vulnerable children. HOW WAS CULTURE FOR ONE CREATED? Culture for One was founded in 2010 by Linn Tanzman, a New York City marketing and communications executive who wanted to improve the lives of children in foster care. At the suggestion of Anstiss Agnew, of Foresdale Inc., Linn took one teenage girl in care to see a play and have lunch. This inspired Linn to forge relationships with social service leaders, major arts institutions and volunteer New Yorkers, creating an innovative model that pairs arts access with caring adults to enrich the lives and futures of youth in care. who are the CHILDren you SERVE? Culture For One serves children in foster care in New York City from ages 21 months to 21 years. Some young people continue to receive extended services beyond that age if they enrolled in college or in a GED program. We work with children at every developmental stage. We provide arts experiences to children who are newly separated from their families, who have been in care for a number of years, who live with special health needs and disabilities, and who use English as a second language. We welcome the participation of our children's foster parents and siblings. "If it wasn't for Culture For One's help, I know I never would have had a great experience of being part of this class... and that just kept motivating me to keep going and push through any and every obstacle I faced," --Manuella Y. What is foster care like in New York City? The NYC Administration for Children’s Services (ACS) removes children from their homes because of abuse or neglect, parental death, or other concerns and places them with foster parents who care for the children in their homes. Foster parents are provided monthly stipends to cover the costs of raising each child. Medicaid covers the cost of medical care. Children with special needs may be placed in a group residential setting offering therapeutic care. ACS also assigns a case worker to each child. For many reasons, including lack of institutional resources, traumatized children are often not adopted into permanent homes or returned to their birth families for several years. They remain in foster care, and can move from placement to placement (the average is 7 to 13). Some will stay in care until they are 21, when they age out of care to live independently. Children in New York City spend twice as long in foster care than they do in the rest of the country. Today, there are 9,000 children living in foster care in New York City. What are the greatest challenges facing children in your program? Loneliness, isolation and the results trauma are some of the greatest challenges children in foster care face, along with a lack of opportunities when compared to their peers. Children in foster care have fewer connections to adults, and this can limit their opportunities as they grow to adulthood. Young people who have been in care are also significantly more likely to experience homelessness, poor educational outcomes, unemployment, illness, incarceration, teen pregnancy and violence. Nationally, 55% percent lack a high school diploma or GED, compared to 21% of their peers, while 22% of former foster youth in their early 20’s do not have enough money to pay their rent, compared to 7% of the general population. Why art as a focus for intervention? Exposure to the arts and positive role models help these vulnerable youth build confidence, life skills and new interests, as well as improve their academic performance. In fact, students who have had training in the arts are 29% more likely to apply to college. The College Board recognizes the arts as a key aspect of college preparation in its Arts Framework, noting the increasing search for creativity and innovation in applicants by college admissions boards. Exposure to and engagement with the arts also brings them rare instances of joy, helps them find meaning in their own lives, allows them to begin to make sense of their experiences and provides life-long tools for self-nurture, expression and employment. The arts are a unique vehicle for healing the trauma of foster care and for changing and re-directing the lives of young people. What role can volunteers play? The Culture For One Volunteer Corps of 40+ adults of diverse ages, backgrounds and interests plays an essential role in the success of our programs, providing our children caring companionship and encouragement during cultural excursions, arts workshops and individual instruction. They are a supportive and attentive presence and model positive, encouraging relationships to youth in care. Children in care often struggle to establish and maintain positive relationships with adults and peers. Their experiences in foster care - their shifting living situations and challenging family circumstances - has made it hard for them to try new experiences and trust in new relationships. Our volunteers become their champions, supporters and formal and informal mentors. We go directly to the children to find out how our programs impact them. Based on our surveys, 83% of children report learning something new on cultural excursions (knowledge development); 76% of children see/experience something they’d like to do themselves (goal setting); and 92% have a great time (stress relief, well-being).